FIVB World Grand Prix Schedule of Airing / Broadcast of Games in the Philippines and What Channel? Take a look! FB Scoop: The FIVB World Grand Prix is just around the corner. 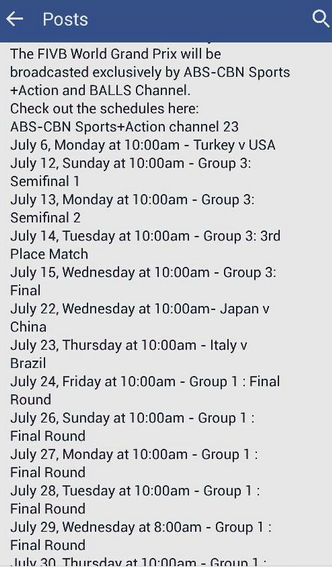 Good thing ABS-CBN Sports and Action channel 23 will air the games here in the Philippines. Take a look at the schedule below.